Medicare Part C News: Medicare Advantage Cuts Coming? Medicare Part C News: Are Medicare Advantage Cuts Coming? Among the changes bought by the Affordable Care Act are cuts to the Medicare Advantage program. Those cuts are certain to be one of the hottest issues of this year’s congressional campaign. Medicare Advantage is very popular especially in areas like New York where 35 percent of Medicare beneficiaries participate in a plan under the program. More than 1.1 million seniors in New York are enrolled in this healthcare program. In Duchess County alone, a total of 9,220 individuals are currently registered for the Medicare Advantage plan. That is about 18 percent of Medicare recipients. Medicare Advantage Plans that private companies provide Medicare subscribers with a substitute for traditional Medicare for medical and hospital expenses. 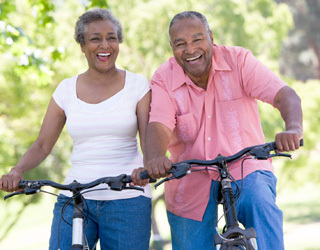 Health networks such as Health Maintenance Organizations operate these plans for senior citizens. Baby boomers are often attracted to these healthcare plans because they offer things like health club memberships and discounts on hearing aids and eyeglasses. However, all of these benefits are under threat. The 2010 healthcare law is cutting a whopping $156 billion from Medicare Advantage over ten years. The political debate that is currently happening is centered on whether the phased-in reductions of reimbursement rates will be a threat to the services that Medicare Advantage provides or simply reduce the profits that private insurers make from offering Medicare Advantage plans. Could Higher Premiums Could Be the Solution? Some Medicare Advantage subscribers believe that insurance companies that offer this plan should start charging their enrollees higher premiums or decreasing their coverage in order to offset the rate cuts. However, GOP representatives who are running in competitive re-election races have made it known that they clearly oppose further reduction in Medicare Advantage. Aside from that, these concerns have been made into a campaign issue. Some lawmakers think that it is definitely growing as an issue due to the constant attacks from people who are opposed to the cuts. These people believe that the program without the cuts is structured toward healthy living. They believe that further cuts will be detrimental to the plan’s overall capability to offer subscribers a good quality of life and health. Medicare Advantage has already survived significant changes in federal reimbursement rates. When the Affordable Care Act was implemented in 2010, Medicare Advantage Plans were obtaining 14 percent more in reimbursements than traditional Medicare. This disparity is only six percent this year. Amidst the looming Medicare Advantage cuts, enrollment in these plans continues to rise. The nonpartisan Congressional Budget Office issued an April 14 forecast that predicted national enrollment in Medicare Advantage will reach the 19 million mark in 2017 despite the full phase-out of what healthcare law calls overpayments to health care insurers who are offering the plans. Aside from that, Medicare Advantage plans increased nationally by 1.4 million individuals to 15.7 million from 2013 to 2014. This is a one-year jump of around 9.8 percent. These increases are evident in all parts of the country. In New York, for instance, enrollment grew 8 percent during the same period. Additionally, 50 percent of Medicare subscribers in 11 counties around the state are registered in Medicare Advantage. A lot of them are located in the western portion of New York. Medicare Changes – What Are The Sharp Criticisms So Far? Critics of this healthcare program note that the plans are simply closed networks that limit the number of hospitals and physicians that the enrollees may utilize. This is not the case with the traditional Medicare plan. It allows policy holders to use any health care facility or physician that accepts Medicare. In the state of New York, about 90 percent of doctors accept Medicare according to the data obtained by the nonpartisan Kaiser Family Foundation. The data also shows that the health practitioners who are least likely to accept Medicare are obstetricians, gynecologists, dermatologists and psychiatrists. Democratic senators who supports the Affordable Care Act say that they continue to push for phased-in reductions in federal payments to Medicare Advantage providers. However, they opposed a round of cuts that was averted early in 2014. They said that these cuts could have hurt the Democrats’ election prospects if they had been enacted. Aside from that, they urge the Center for Medicaid and Medicare Services to maintain payment levels that will help protect Medicare Advantage participants from disruptive changes. This bipartisan letter was signed by 19 Democratic and 21 Republican senators. They think that Medicare Advantage is very beneficial to senior citizens when done well as it provides them with extra help.